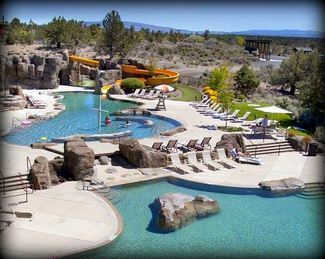 Many fascinating sights and experiences in and around Bend, Oregon, are just waiting to thrill and entertain visitors. Guests can join in a range of activities and events during their stay, including some of the top places to visit in Oregon.The Great Outdoors is the key to the places to go in Oregon to have fun. Try fly fishing, enjoy live music, take a kayak trip down the Deschutes River or learn about the high desert ecosphere while staying in one of the nation’s top vacation destinations. When it comes to watery activities, the place to be is on the Deschutes River, which flows through Bend. Visitors come from around the world to fly fish, kayak, canoe, raft, and drift down the river in inner tubes. When you’ve finished, grab a chair on the CURRENTS deck and watch as the sunset sparkles on the shining waters. Cascading water plunges almost 90 feet into a pool at Tumalo Falls. This ideal spot, one of the top places to visit in Oregon, calls to hikers, mountain bikers, equestrians and photographers of all ages and skill levels. Enjoy the majesty of the falls from the top or from the bottom and in all seasons. 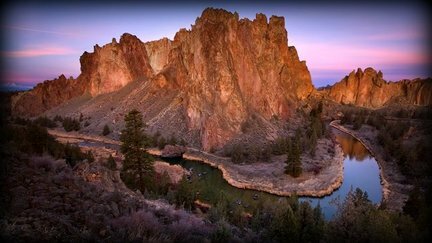 Another great place to go in Oregon is Smith Rock State Park near Bend, which offers hikers, climbers and mountain bikers areas and routes to get the blood pumping. Beginners and experts will find perfect places to climb up the rock face or zoom down its many trails, all the while taking in the fantastic views. If climbing or biking isn't your thing, there are plenty of hiking trails to put your best foot forward. Spring and autumn are prime times to visit the park. When it comes to skiing, Mt. Bachelor is one of the peak places to visit in Oregon. Blessed with ample snow, plenty of lifts and more than 25 major runs and trails, 12 cross-country trails and three snowboarding parks, there’s bound to be a route that suits every skier or boarder of every ability. And renowned ski schools and clinics are available to help hone rusty skills. In the summer, Mount Bachelor offers summer chair lift rides to Pine Marten Lodge offers lunch with views, sunset dinners, Frisbee golf course and mountain biking. Go caving in an extinct volcano vent at Lava River Cave, an adventure you’re sure to remember and one of the top places to visit in Oregon. This lava tube holds geological wonders for the entire family. Make sure to take flashlights, a jacket and sturdy shoes for sure footing. When it comes to outdoor music festivals and venues, the Les Schwab Amphitheater located close by in the Old Mill District hosts a variety of musical acts, local bands as well as top national performers. Find out who is coming to Bend this summer. The Old Mill District offers shopping, dining and movies all while along the Deschutes River. There are a number of volcanic features in and around the Bend are that were created thousands of years ago. The Newberry National Volcanic Monument seeks to preserve these sights with its 55,500 acres encompassing trails through lava fields, and past cones, vents and a caldera. It’s a great place to learn about the destructive and creative forces of volcanism. Visit extinct cinder cone or walk along the lava lands interpretive trail. Bend has long been known as where the alpine terrain meets the barren. Learn about the history and wildlife of the dry enviroment at the High Desert Museum. With art shows, living-history exhibits and such desert dwellers as bobcats, porcupines and birds of prey to greet visitors, the museum is a local Bend favorite. Bend has been dubbed Beer City USA boasting over 15 craft breweries to visit. Through the Visit Bend Visitors Center, pick up or download a Bend Ale Trail passport and learn how to win cool prizes for visiting all of our breweries. Another gorgeous photo op is Pilot Butte, an extinct cinder-cone located within Bend’s city limits. With its panoramic views of the city and the Cascade Mountains, Pilot Butte is the most-visited Oregon State Park east of the Cascades. It’s a short, easy hike to the top, but the rewards are great.